A cold foggy night in Anchorage. When I took a new job in 2012 flying 747’s, I knew it would entail flying three different models; the 747-400 (aka “the four hundred”), 747-8 (aka “the dash eight”), and the LCF. The previous model 747’s were the “the one hundred” and “the two hundred”, although they are now more affectionately known as “the classic”. The classic was a round gauge flying machine and if you could look inside the cockpit, it would be apparent why everyone calls it that. When the four hundred came along most of the cockpit instruments were replaced with six screens. This change, along with many others, symbolized a huge jump ahead in airline and cargo transportation. It is also these updates which make the 400 appear relatively modern to this day. Yet, Northwest Airlines placed the first 400 into commercial service on February 9th, 1989. Now, 23 years later and with the 747-8 numbers growing, the 400 is rapidly becoming known as “the new classic”. Bonus points if you can count all the rivets. 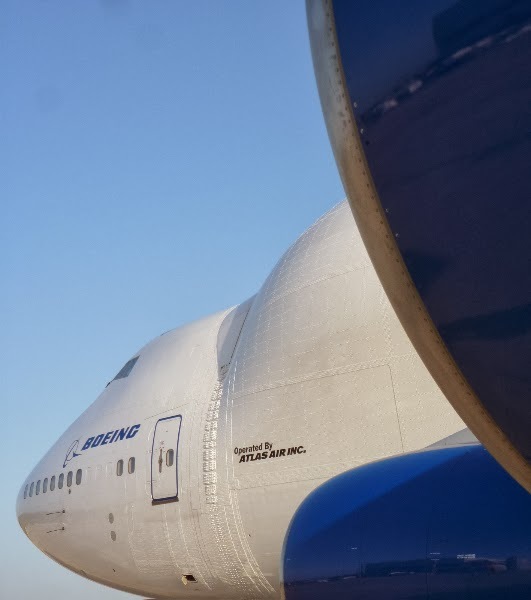 The 747-8 builds on the 747-400 lineage with updates being made to the cockpit instrumentation, powerplants, and airframe. The final product is something that hauls considerably more for considerably less with a lot less noise. Not bad for an update. 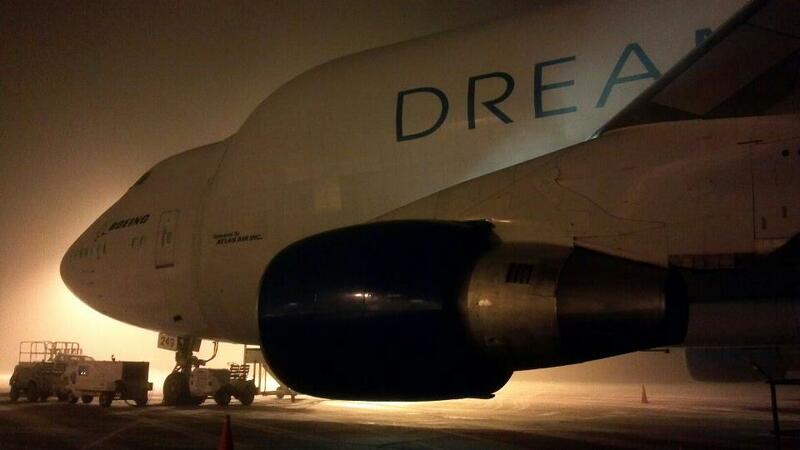 Then there’s the 747-LCF. This is a special beast all its own. Designed and built to haul internationally constructed 787 components to assembly factories in the US, this flying machine cannot be mistaken for anything else. Among my fellow pilots, given the option of flying the 747-400, 747-8, or 747-LCF, few to none would choose flying the later. Much like a military machine, it was built with a single purpose in mind and creature comfort was not it. Although it flies ok it does occasionally require the use of rudder, a concept foreign to most large aircraft operators; it also vibrates, is terribly loud in the cockpit, and depending on the destination, it often “traps” four crew members in a room smaller than a master closet for 9 hours. But wait; let me clarify those statements. The LCF vibrates but not much; it needs rudder but not much, and it is loud but, well, there’s no getting over how loud it is in the cockpit. Amazingly though the noise has nothing to do with the odd shape of the fuselage. It’s all due to the large amount of airflow from a standard 747 pack (air cycle machines) setup being pumped into such a small cockpit. If you could turn off the packs, it would be as quiet as all the others which, by the way, weren't very quiet to start with. Being able to get more that ten feet from the cockpit would also do the job. Yet it is doubtful those things will ever change, and therefore most pilots avoid the aircraft when they can. Myself, I love it. Among the different aviators I call "friend", there is a small circle of flyers which one buddy calls “type whores”. These are pilots who get the biggest thrill out of flying new and different aircraft. Obviously, most pilots enjoy entering new planes in their logs. Few though have, as their biggest goal, the addition of different types to the record. For those who do, the knowledge of how each model flies, how it compares to the others, and what led to the design is the passion that drives them. They also love the quirky. That’s me; and for these reasons, I enjoy flying the LCF. The Large Cargo Freighter is a wonderfully odd looking flying machine which represents so much more than what is seen on the surface. To start with there’s the obvious; it delivers the 787. “If it’s not Boeing, I’m not going” is a well known phrase in large aircraft circles and I count myself as a believer. Nay-sayers love to point to recent 787 troubles but those same people are usually too young to remember the 747's somewhat troubled beginning. Any machine sufficiently advanced to change an industry is almost guaranteed to have teething problems and the 787 fits this category. But remember, here we are 43 years after the first commercially flown 747 and it’s still going strong. Atlas, where I work, has a contract to operate these for Boeing. Where I worked before, a lot of pilots were afflicted with the little aircraft syndrome. They absolutely hated that they weren’t flying something big; as if the size of the machine made them what they were. And despite the facts they were flying an airplane that sat 50 people and most of them were great pilots, when someone would walk in the cabin door and express “Wow, this plane is small”, it sent them to the moon. Myself, although I’ve always liked flying bigger and bigger aircraft, the gross weight of the plane never mattered. Given an option, I would always choose the better job over the heavier airframe. Most young pilots would not. I can't help but wonder how many vintage airplanes I could fit in here. That said, I must admit I love flying the LCF; it’s big, ugly chic, and an important part of the 787 story. Additionally, since there are only four of these big suckers they’re somewhat rare. So uncommon are they, even controllers at large international airports have to ask, “What is that?” Being incredibly broad-sided it’s also not unusual to cross paths with another aircraft in the flight levels and hear the following conversation; “Center, Delta 107", "Delta 107 go ahead", "Uuuuuh yeah (drawn out like they just saw a UFO), that aircraft that just crossed left to right said Dream Lifter on the side; what is that? ", "Hold on. Uuum Giant 4231, what exactly are you flying today?” That's always good for laugh. Finally, if you're going to talk about this machine, you have to mention all the people that somehow find out when The Dreamlifter is going to arrive or take off and line the fences to wave and take photos. In the music world she'd be a rock star. Last week in Italy, one crew member even reported seeing a group of people flying an American flag as they taxied out. The airplane has a personality that can’t be ignored, people love it, and it’s fun to a play a part in that. Here's a video I found on youtube that was produced by Boeing. Click this sentence to see the tail swing. Rich...you dog. And you get to fly that thing? You know some things just aren't right in this world! You should be paying them to work there! Rich, what can you further tell us about that wrong airport landing? Surely you must know the pilots. I don't love it! I hear this this taking off from Everett all the time. And at all times of the day! Like today... 3am! Can't they stick to normal business hours or at least times when people are awake? Which Post Generated the Most Comments Ever? Are Drivers as Passionate About Stop Signs?